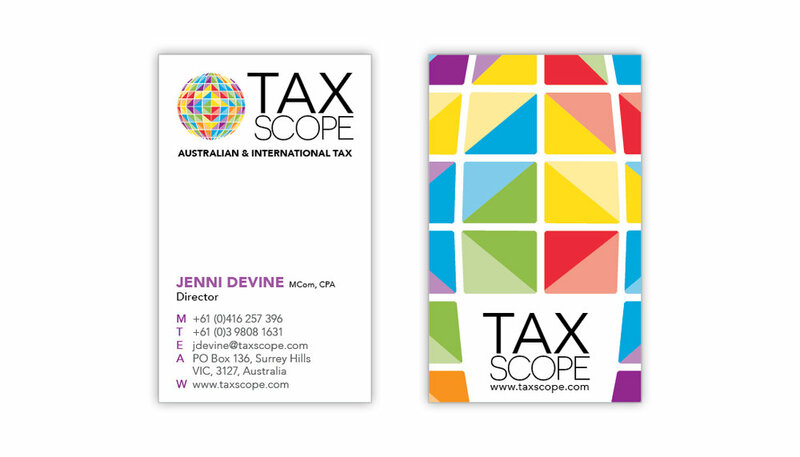 Fenchurch Studios was commissioned to design the new business identity for international tax specialist Jenni Devine of Tax Scope. 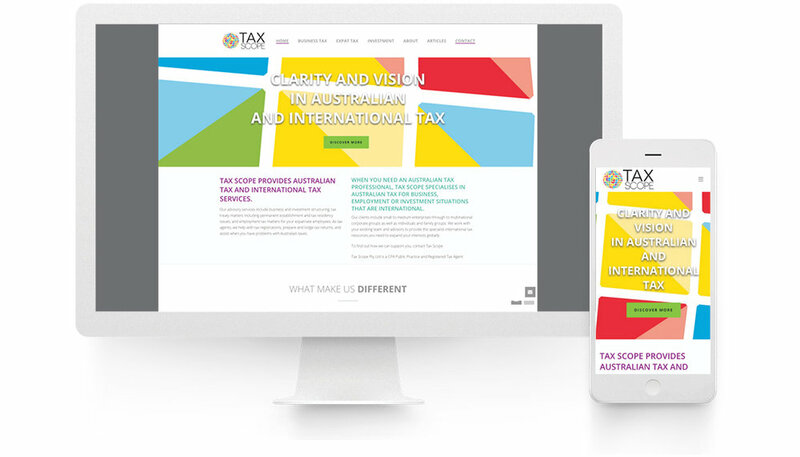 The Tax Scope identity needed to stand out in the financial world, represent the international nature of it's business and also the complexity of the work involved. The idea of a Kaleidoscope worked well with the brand requirement, bright, coloured, complex and every changing. This combined with stylised globe completed the idea. A bright colour palette was used to help the brand stand out in a normally conservative environment. The identity was then applied to business stationery, presentation tools and client documents and reports.